The carbon dioxide detectors are used by a leading environmental monitoring company to record CO2 levels in workplaces and classrooms, and to help assess the performance of ventilation systems. 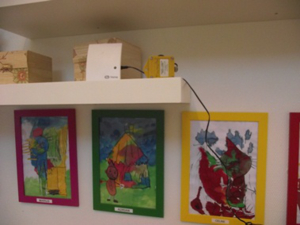 Tinytag CO2 data loggers are being used by a leading environmental monitoring company in Denmark to help ensure optimum conditions are maintained in workplaces and schools. ArbejdsmiljoeCentret ('works health centre') is an authorized consulting company which evaluates the workplace, covering factors such as indoor climate, ventilation, noise levels and other aspects of the work environment. Peter Klausch is an Engineer and Freelance Consultant at ArbejdsmiljoeCentret and handles between 30 and 50 cases each year. Projects range from sole traders to some of the largest companies in Denmark. Part of his remit is to monitor CO2 levels. In rooms that do not produce their own carbon dioxide, the amount of CO2 in the air will be a product of the people in the room, how long they have been there, and any cigarette smoke (if indeed this is permissible). The carbon dioxide concentration remains stable if there is consistent ventilation in the room. The amount of CO2 is therefore a key indicator for whether the ventilation is sufficient or not. The carbon dioxide concentration can vary from about 350ppm outside, to 5000ppm in rooms with no ventilation. Carbon dioxide is measured to check whether the ventilation is sufficient for the room compared to the number of people that are going to use it. The Labour Inspectorate in Denmark recommends an upper limit of 1000ppm. This corresponds to an increase in the outdoor CO2 concentration of 65%. If a measured value exceeds 2000ppm, the environment in the room must be improved. The recommended value for school classrooms is 1200ppm. Calculations establish the concentration of carbon dioxide in a room, compared to the number of people versus space. The measurements are taken with people in the room, but without venting the room beforehand. The loggers are small, discreet and wall mountable - the latter being advantageous as in Peter's experience, if they are not fixed to a wall they tend to get removed or (particularly in schools) thrown around! The recorded data is used to document the indoor environment. If concentrations are acceptable they are reported as such. If the measurements are on the acceptable limit, then a recommendation is made on how to improve the ventilation/general work environment. If the results are poor, then a recommendation is given to install mechanical ventilation which in most cases is then acted upon. Peter comments "We chose the Tinytags as they are simple to use, extremely robust and reliable. Understanding the recorded data is very easy, and the Tinytag Explorer software is very user-friendly. We will only use Tinytags in the future, and my colleagues agree with me!"